The goal of the Faculty of Business Management - to become one of the technical universities and business schools leaders in the Baltic region that unite science, education, business and innovation. We strive to become a symbol of leadership, quality and scientific breakthrough. More than twenty years ago when the faculty of Business Management was established it became one of the pioneers of Business Management studies in Lithuania. Faculty was also the first and only who established Department of Finance Engineering. Consequently a whole new and innovative study program of Economic Engineering where established. Every year we have something new and innovative to offer for our prospective students, social partners and Lithuania. Tradition of international cooperation in science and education allows us to be innovative and precisely correspond to the needs of society. Faculty of Business Management suggest studies in social sciences field such as business, management and economic. In order to ensure a high quality of studies the faculty is constantly improving study programs in regard to the social and economic needs. Faculty also pays a lot of attention to the improvement of study process itself. According to the international experts provided by Research and Higher Education Monitoring and Analysis Center (MOST), the Faculty of Business Management has an internationally competitive scientific infrastructure, competent management and a clear strategy for the promotion of scientific results. Faculty scientists annually provides more than 60 articles in recognized scientific databases, of which more than half of are the international databases. Cooperation of science, technical creativity, art and business is highly promoted at the Faculty. Such specific education opens far broader opportunities for students not only in traditional business fields but also in organizations of technology, science, and construction sectors. In order to continue successful implementation of the strategic objectives of the Faculty of Business Management, one of the priorities is to improve the quality of studies by implementing European Quality Improvement System (EQUIS) methods that helps to ensure and continuously monitor the quality of studies particularly through feedback evaluation. Faculty of Business Management remains a clear leader in the development of international relations and implementing mobility for academic staff and students. Faculty has more than 123 Erasmus partners also provides more than 150 places for exchange students and about 40 places for academic staff each year. Students may also pursue other exchange programs - EUKLA (exchanges with South Korean universities and companies) and BALTECH (exchanges between the Baltic Sea Region University) - and leave to study according to VGTU bilateral cooperation agreements with foreign universities. Each faculty student is able to study over a period of at least one semester at the partner foreign universities. The best students are also offered to practice in foreign companies and organizations. For more than ten years faculty actively participate in Lifelong Learning / Erasmus+ program, because we strongly believe that International experience is very important in management and business. 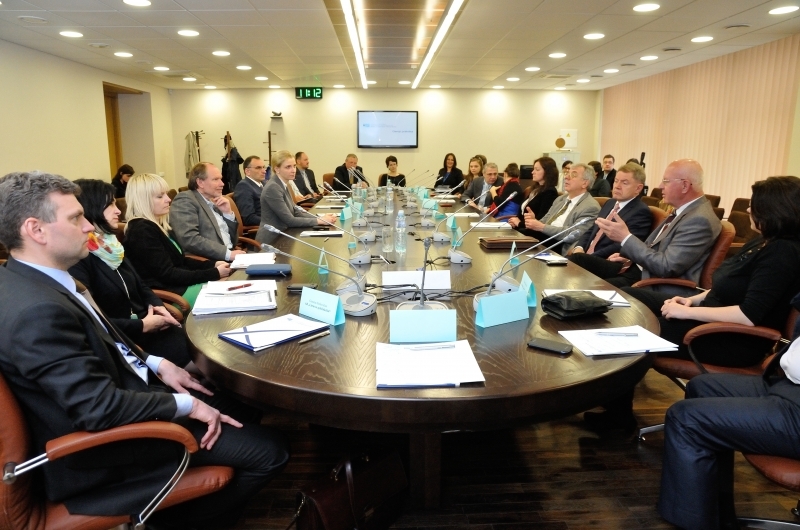 Faculty of Business Management has entered into more than 150 cooperation agreements with the social partners. Business involvement allows students to formulate practical tasks such as solving real business problems. Business representatives are also invited to give lectures or participate in various discussions. Faculty actively involves social partners during various events, cooperation and practices. Bachelor's degree students carry out a cognitive and apprenticeships practices during their studies while Master students conduct scientific or professional practice. Partners appreciate the Faculty, students and very often after a placement propose to stay to work permanently.